The Horning Family Fund partners with communities to address inequity and to create opportunities for families and children to thrive in Ward 8, Washington, DC. In 2007, HFF decided to focus its grantmaking efforts on Ward 8 (SE Washington, DC) to address the disparity of opportunities and services for children and their families. 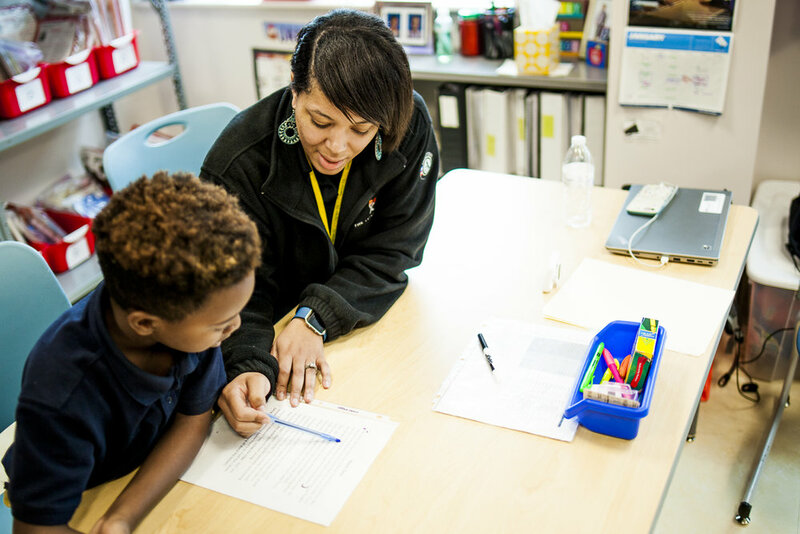 We partner with DC nonprofits with a commitment to working in and with the Ward 8 community, focused on education, behavioral health/community supports, and advocacy. Achieve education, economic, and racial equity through advocacy and community organizing. The Horning Family Fund commits $1M annually to support DC based nonprofits working to improve outcomes for children and families in Ward 8. It’s not all about proposals, grant reports and deadlines — HFF is fun to work with and it's more of a conversation and resource-sharing partnering than a traditional grantor grantee relationship. The Commons at Stanton Square is a campus for community programs being developed in Ward 8 through the collaborative efforts of the Horning Family Fund, Horning Brothers, Community of Hope, and Martha’s Table.